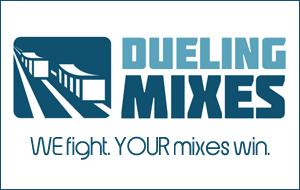 Ask Joe #54 – Should I Master While Mixing? How much is too much acoustic treatment? How should I build a web presence to showcase my portfolio? Should I master while mixing? How do I deal with electrical noise? How should I go about recording drums with one microphone? I’ll see your question and raise you a question. Which came first — the mix engineer or the tracks? And to that I say…EXACTLY. Hey Joe, this is Josh Herring (I’m part of your Mix With Us community). I read your recent email regarding creating a portfolio and I was looking for some advice. Is it something tangible like a CD and a business card or is it a website that you try to promote online? I would like to start putting mine together but I don’t know where to start. Thanks for your time, Mix With Us is awesome! Just thought I’d throw that in there. I mentioned this on Facebook the other day. It’s kind of humorous, AND there’s a lesson here for all of us. You send these emails, but I think you’re just looking to make some cash. How do I do the same? I offer to do recording, mixing, mastering for free but no takers. Any advice?